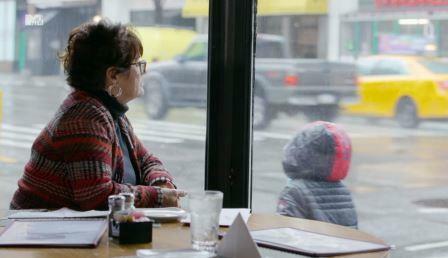 On the latest episode of Teen Mom 2, Barbara Evans arrives in New York to meet Jace’s dad, Andrew Lewis. She calls Jenelle Evans to let her know she has arrived and discusses the upcoming meeting. Barbara arrives at the restaurant to meet Andrew and surprise…. He doesn’t bother to show up! She calls and leaves an angry message about wasting her time when she tried to help him see his son. Andrew finally calls Barbara back and claims his dad has stage three lung cancer, so he is at his family’s home in Florida. If that is true, that is sad and reasonable excuse to miss their meeting. But why didn’t he just call or text and tell her that before she came to New York? This is exactly why I would have made him meet me, rather than fly to meet him. Jace is his son, so he should be taking the initiative to see him. Barbara talks to Andrew’s mom who seems to corroborate his story. She wants everyone to know, her son is a totally different person and he should see his son. Barbara doesn’t appear to buy this supposed change and seems more interested in staying in touch with her, more than Andrew. I don’t blame her. I don’t care what his mom says, something is wrong with Andrew. From the way he looked on the last episode and the creepy texts he sends late night saying “Hi Ma’am,” I am giving him theeternal sidee eye. Jace already has one crazy parent (Jenelle), he doesn’t need to know he has another one, just yet. 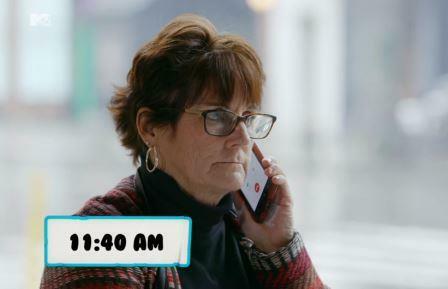 Barbara calls Jenelle to update her on what has happened with Andrew. Jenelle goes off about Andrew and how she knew this would happen. Barbara suggests that they allow Jace to meet his grandmother and wait to meet Andrew when he gets older. Jenelle wants to think about it. The family has officially arrived in Puerto Rico with Devoin Austin. Briana DeJesus feels it is necessary to keep reminding us that her new boo, John Rodriguez is fine with her being on the beach with her ex. I find that hard to believe… but okay, girl. Briana finally asks Nova what she thinks about having her dad’s last name. Nova is obviously confused and she doesn’t know what to think. Eventually, I think her name will be hyphenated to combine her mom and dad’s names. Kailyn Lowry has been trying to rebuild her relationship with Chris. Chile, please. She reveals to her friends that Chris accidentally sent her a text that was meant for his ex-girlfriend. Lincoln’s birthday party is coming up and she is unsure if he will attend, despite some of his family coming. She receives a text from Chris’ aunt informing her that Chris will indeed attend the party. Sadly, Kailyn and Javi Marroquin are still feuding, so they have decided to have separate parties this year. Kailyn, out of three baby daddies, you can’t get along with even one! Kailyn finally confronts Chris Lopez after they ignored each other for the entire party. This clearly is a running theme for her to ignore all of her baby daddies at the kid’s events. She talks to his aunt about her frustrations about their relationship and its challenges. Chris’s aunt defends her nephew and says the fact that he showed up, should say a lot. I think the fact that he still is talking to his ex and ignored Kailyn for an entire week after being caught, says a lot as well! Chris, just tell her that you are not into to her like that and stop getting her hopes up. Kailyn talks to her friends about the drama with Chris at the birthday party. While talking, she receives a text from him saying “I love you, Ms. Lowry.” A producer tries to cut through the bs and find out what is really going on between the two. Kailyn feels like if they aren’t growing, they don’t need to be together. She admits that he no longer spends time at her house. Kailyn has to come to his house to see him. She gets emotional wondering why he just can’t commit to her. Honestly, I don’t think he is ready to be married and taking care of three kids at his age. But I agree, if they aren’t going to move forward, they should walk away from the relationship and just co-parent. Jeremy Calvert has bought a new home and picked up his daughter for the weekend. He has decided to quit his job to be closer to home with his daughter. When Leah picks up the kids, Addy excitedly details her weekend. I’m glad that she is getting more time with her dad. He seems to have figured out how much his job was affecting his daughter. Aubree goes to visit her dad’s parents for the weekend, with the contingency that Adam Lind can’t be there. Not long after, Chelsea receives a text that Adam came to the house, so she should pick up Aubree. Cole is so upset; he immediately jumps to pick up his step-daughter. Adam and his family are exhausting, if they want to continue a relationship with their granddaughter, I don’t know why they didn’t just ask their son to leave temporarily, while Aubree was there. Cole comes back home and details what happened when he picked up Aubree. Obviously, Adam’s family is just as crazy, as her father. Cole said Adam’s mom asked where she could pick up her granddaughter when her son leaves. Umm… what? So you scheduled a weekend with your granddaughter, then basically kicked her out because your son just decided to show up. Cole told her outright that they broke the rules, which are court ordered and they won’t be able to see her for a while now. Of course, Adam’s family has no understanding of what they did wrong. The sad part is the person who is truly hurt in all of this is Aubree. Honestly, I think Chelsea wants Adam to give up his rights, so she doesn’t have to be bothered with his constant drama anymore. Chelsea’s mom thinks that Aubree should be adopted by Cole. She doesn’t want Adam to ever get custody of her grandchild if something happens to daughter. Chelsea wants her mom not to push Aubree in either direction and let her come to a decision on her own. I’m not sure that will ever happen, but understand how stressful this situation must be for Chelsea. TELL US – DO YOU THINK KAILYN AND CHRIS WILL EVER BE A COUPLE? WERE AUBREE’S GRANDPARENTS WERE WRONG TO ALLOW ADAM TO COME TO THEIR HOME WHILE SHE WAS VISITING? SHOULD NOVA TAKE HER DAD’S LAST NAME? WERE YOU SURPRISED THAT ADAM DIDN’T SHOW UP TO MEET BARBARA?